Pick the right product for light exterior fixture, both of them have unique material properties, and could be widely used in different applications, the following will give you details of the similarity and differences, as well as their typical advantage, shorts, for your referring, hope this article will help you to conclude finally before the option is made. a. Impact resistance, PC is tested in more fragile than PMMA's tolerance, prototype forging of both will have its unique hardness to suit the light fixture. b. light transmittance, there is about 92 percent for PMMA to be polished that restore its clarity, PC has about 88 percent comparing to glass only. c. PMMA will be cracked during drilling near the edge tests, while PC not during drilling test bit. 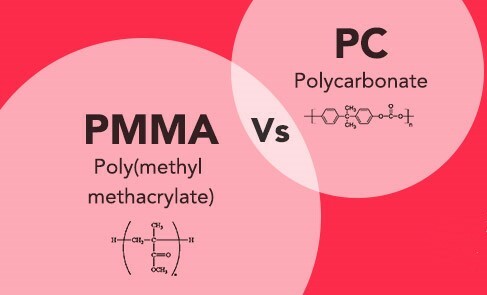 d. Flammability, PC has low flammability, PMMA is not suggested in some areas where fire accident may be present. e. PC expenses more than PMMA, 30% more or above. Which one is best for you? Confirm the above reliable factors to make an analysis.